The "Italian Stallion" is ready to go the distance with Funko Pop Rocky. The vinyl set covers legendary characters from the Rocky boxing franchise. 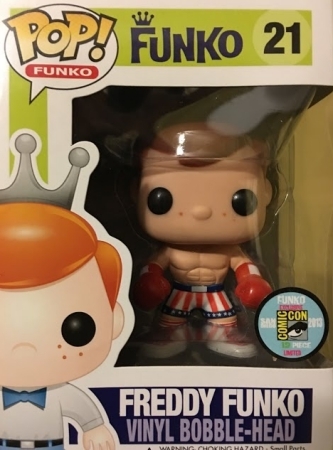 At first glance, the Funko Pop Rocky figures may appear simple, especially given the boxers are featured in their fighting attire. 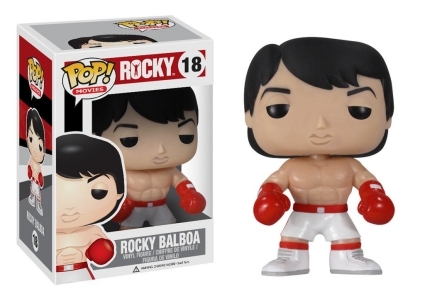 However, upon further review, Rocky Balboa looks more like an action figure than a Pop! vinyl. The Philadelphia icon has slightly messy hair, a pointed nose, and chiseled abs. 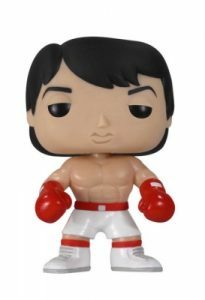 And, unlike most options, Funko went a step further as Rocky's lips are visible, which helps fully capture Sylvester Stallone's persona from the film. Shop for Funko Rocky Figures on Amazon. 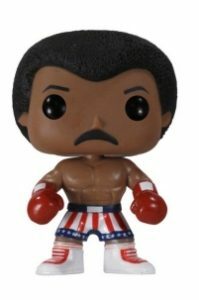 On the other side of the ring, collectors will find Apollo Creed in red, white, and blue trunks, along with defined abs. While Creed and Rocky became friends, Clubber Lang, portrayed by Mr. T, wants nothing more than to destroy Balboa, which is evident by his very, very menacing expression. 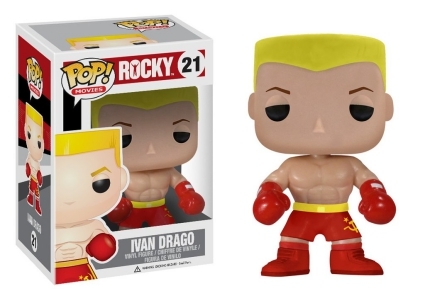 Sticking to the rock-hard abs theme, Funko Pop Rocky includes a replica of Ivan Drago, albeit in a smaller capacity. The Russian stands in crimson red gloves and boxing boots, with his distinct blonde buzzcut that almost matches the trim on his trunks. As an early release for Pop! Movies, all the figures have since been vaulted, keeping prices high and supply low. 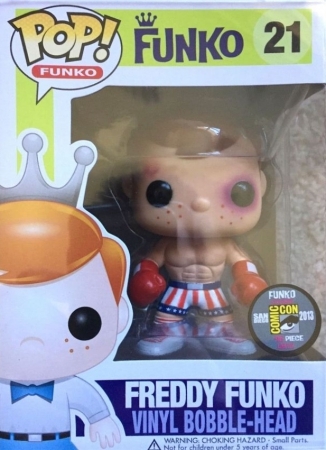 Even more rare, Rocky fans and collectors can find two options of Freddy Funko as Apollo Creed—one is bruised with a black eye—released at the 2013 San Diego Comic-Con. 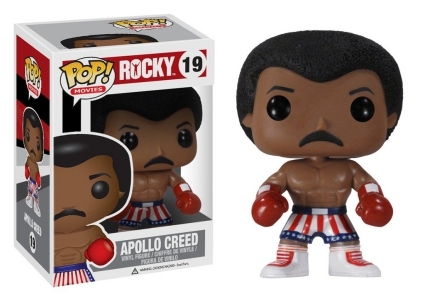 RARE Funko Pop Movies Rocky APOLLO CREED #19 VAULTED in Box! 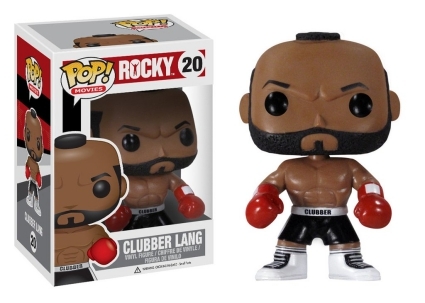 RARE Funko Pop Movies Rocky CLUBBER LANG #20 VAULTED in Box! Retired Vaulted Funko Pop! Vinyl Movies 21 Rocky Ivan Drago. Pop Protector incl. Not just figures, see Rocky cardboard options with our detailed trading card guides.